Court, you have to do the green smoothies. So easy, delicious and healthy. I spend about 10 minutes making it in the morning and then drink it on the way to work. I'm noticing so many positive changes..I'm recovering from long runs super fast. My skin is looking healthy and younger. I feel more alert during the day and have a lot more energy. Hope to see you soon! i've been on green smoothies (twice a day: breakfast and lunch) for a month now. slowly but surely getting all the junk food out of my life (i replaced my chocolate fix with scott jurek cocoa adzuki bean bars). i'm totally hooked, its 2 in the morning and i really want to fire up my vita-mixer (i work nights, so im not a sleepless nut case). noticeable results: shiny skin, soft hair, bright eye, menatlly alert and energized. i'm also a distance runner (41 years of age), my recovery time, sh#t i dont even notice. so, anyone who is reading this, i'm not a person who gets caught up in hype, GREEN SMOOTHIES are the way to go. get a good blender and use your imagination. 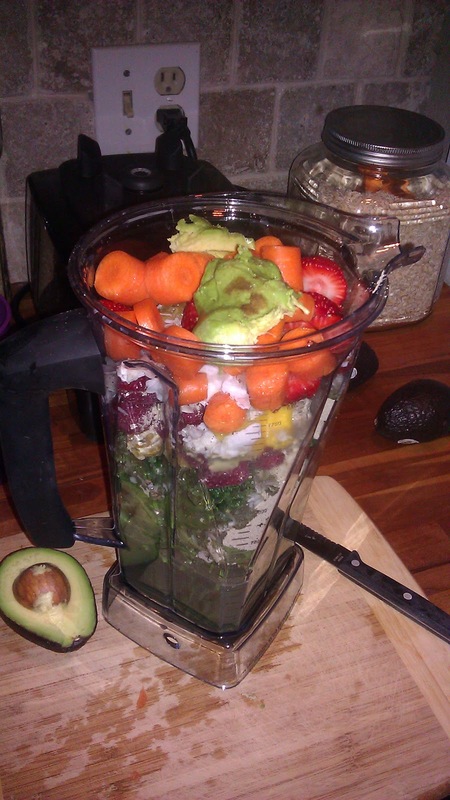 i blend about 70% green and 30% fruit, i dont even wanna wish you good luck, this sh#t works man!! You are so right! I've been doing the same thing for the past month--green smoothies for breakfast and lunch and then a healthy dinner. I cannot even believe how great I'm feeling and the differences I'm noticing. One of the most exciting things is that my recovery time from a long run is almost nothing. I get up the next day and feel recovered and energetic. I've ran for 13 years and have never been able to do that! Also, like you said..skin, alert and energy levels are all noticeably better. I wake up craving a smoothie every morning and am having so much fun experimenting with different fruits and veggie combos. I also add things like Matcha powder, flax, chia, aloe vera juice, hemp protein and slivered almonds. Thanks for the comment!